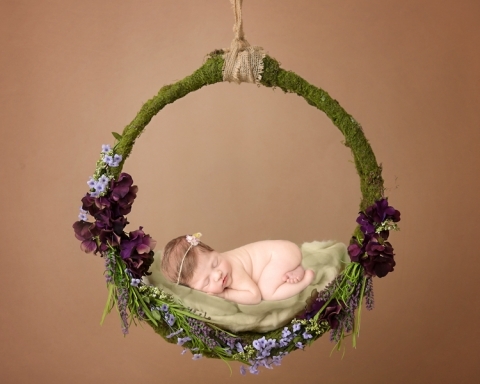 Oh how I love doing newborn photography Cleveland! 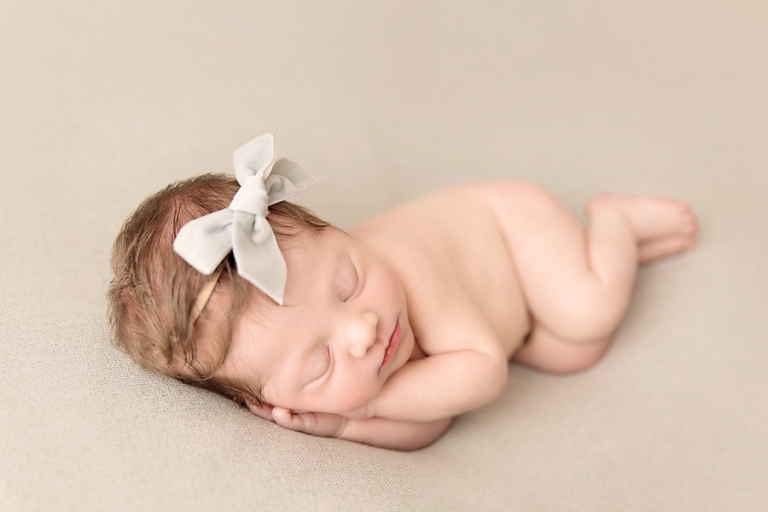 Miss Beatrice came in for her newborn session with the most luscious head of hair and the sweetest little face! It was love at first sight! Of course I love her parents too, you can see her momma’s maternity session here. 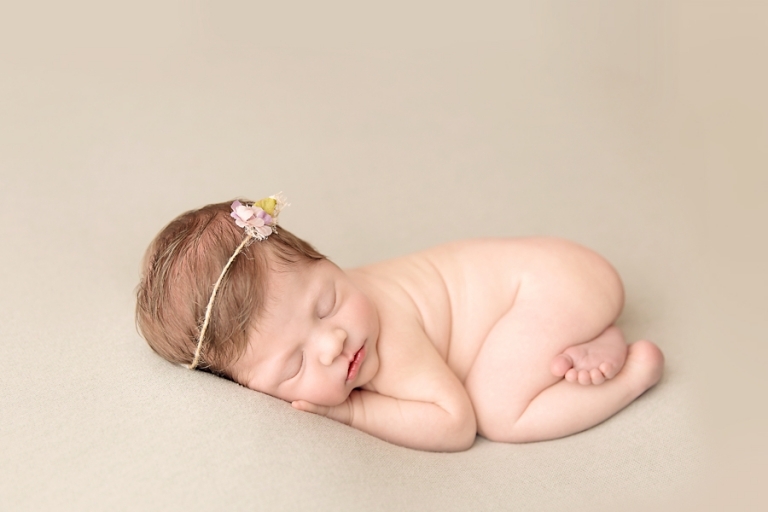 This little lady snoozed her session away and was the perfect little angel. I really could have kept her all day to play but alas, I don’t think her parents would have had that. One of the most requested props I have is this wreath I made a few years back. Most of the time, parents are a little confused when their little one doesn’t actually go on the wreath. While I can pose them on the wreath, it’s a bit tippy since it’s round and I would need to do a composite anyway since we would never hang on baby on it off the ground. To see how this photo was made, visit my Facebook page to view the video. Oh how I love this set, a perfect touch of soft green with the cutest headband by Hello Miss Gorgeous! Free Bird Props has the BEST fabrics- the colors and textures are my favorite! Thank you so much for stopping by the blog! 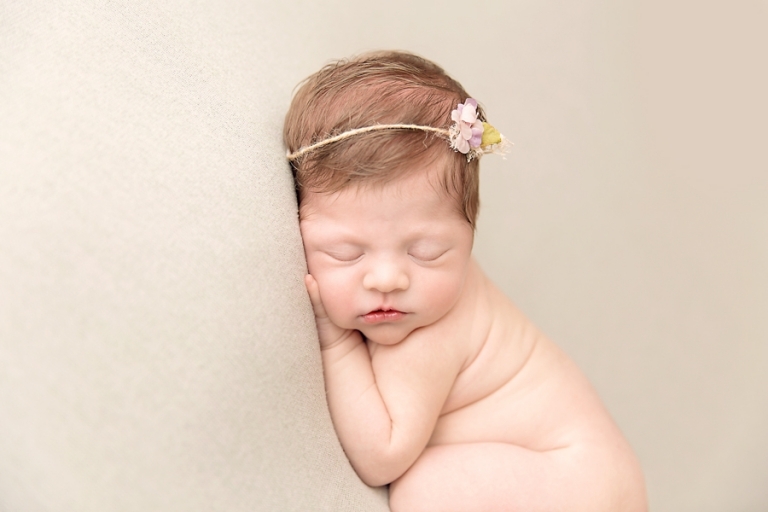 Looking for newborn photography Cleveland? Please check out similar newborn sessions on the blog. If you like what you see, I would love to hear from you to chat about creating your own session! Please contact Mary via the contact page to learn more. Newborn sessions are best done in the first two weeks, so do not miss out on the opportunity to freeze those precious first moments!